A $2.2 million grant has been given to The University of Louisville and Frazier Rehab Institute to establish a new program to research spinal cord injury cases. The new program at the university and rehab institute will work with 13 similar models systems across the nation. The model system is intended to expand the range of care for spinal cord injury patients. The grant will help conduct evidence-based research on a drug given to SPI patient, which they will then be enrolled in a national database aimed to enhance care for their injuries. The National Institute on Disability and Rehabilitation Research awarded the grant to the university and rehab, to collect data on about 40 patients annually for five years. The program will examine the effect of the drug baclofen on locomotion in chronic spinal cord injury patients. Automobile accidents cause 42.1 % of spinal cord injuries. 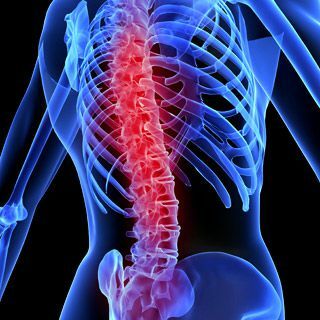 More than 11,000 people suffer a spinal cord injury each year in the United States, while some victims will experience a full recovery, others will be completely and permanently paralyzed. Car accidents are also frequently the cause of other serious back injuries such as a herniated disc. In both cases the accident victim may require surgery, years of treatment and physical therapy, and the injuries can completely change. If you have sustained spinal cord injuries due to the negligence of another person or entity, contact a personal injury attorney immediately. Chris Davis has nearly 30 years of experience in fighting for the rights of accident victims. Call Davis Law Group at (206) 727-4000 to schedule a free consultation today.